Ade Gardner has ended a 17-year association with St Helens after being appointed as head of performance at Super League neighbours Warrington. The 35-year-old has agreed a two-year deal with the Wolves to take over from Jon Clarke, who left at the end of the season to take up a job with England rugby union. Former Barrow winger Gardner scored 173 tries in 289 appearances in 13 years as a player with Saints, where he won the 2006 Super League Grand Final as well as four Challenge Cup finals. Following a season with Hull KR in 2014, he joined the club's backroom staff as strength and conditioner. Gardner also played for both Great Britain and England, including at the 2008 World Cup. 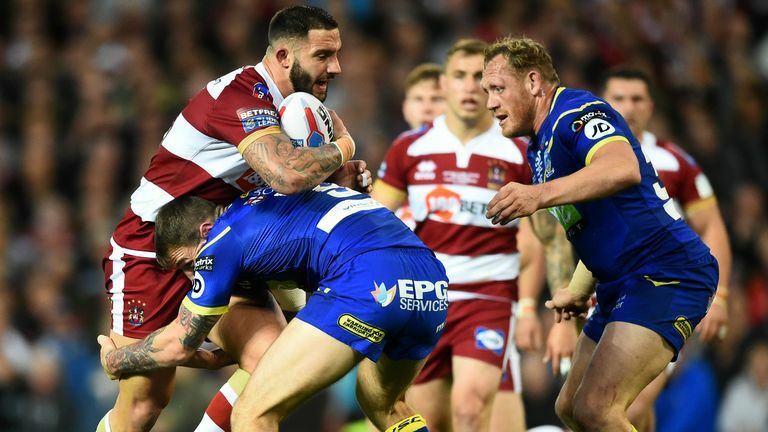 Highlights from the 2018 Grand Final as Wigan and Warrington clash at Old Trafford. Warrington head coach Steve Price said: "Ade had a distinguished playing career and he's been involved in a system that has performed outstandingly well. "He is highly rated within the St Helens camp; is young, ambitious and bright. He will be a great fit and acquisition for our club." Saints chief executive Mike Rush said: "He's done a great job here and we're really sad to see him leave. "He will be a big loss to our backroom team but we couldn't stand in his way. This is a big opportunity for him and we all wish him the best."